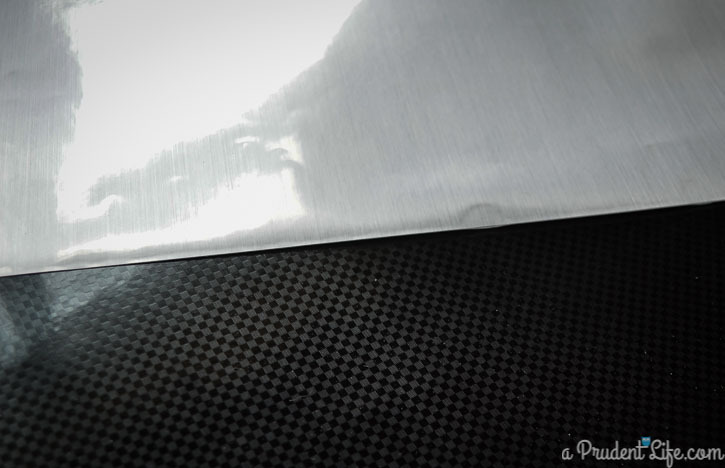 A couple months ago, I noticed that Expressions Vinyl carried a carbon fiber vinyl. I immediately knew I wanted to make something with it for Father’s Day. My dad is a serious car guy – there is no golfing or football watching in his life. Only cars. The garage is his man cave! I decided making a custom sign for his garage would be a great gift. 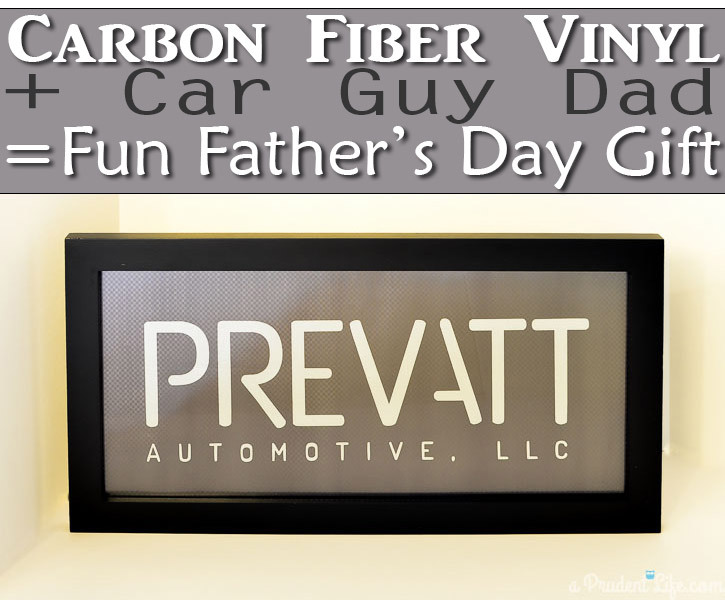 I used the logo for my dad’s business, but this could be easily adapted to any dad by using “Dad’s Garage” or “Dad’s Man Cave” as your text. 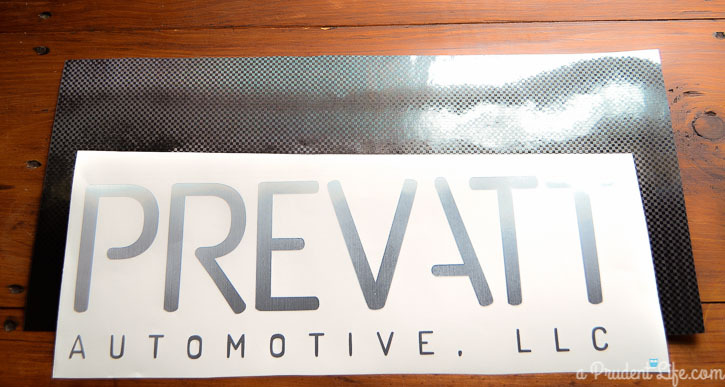 The vinyl I used was 12×24 Metalized Vinyl in Black Carbon Fiber and 12×24 Metalized Vinyl in Chrome Brushed (affiliate links). I knew I wanted my sign to be framed, so I headed to Hobby Lobby during one of the frequent 50% off sales. By thinking outside the box, I got a great deal! I found this school picture frame for $13 and knew if I removed the mat, it would be perfect. Once I had the frame, I knew what size to cut my vinyl. 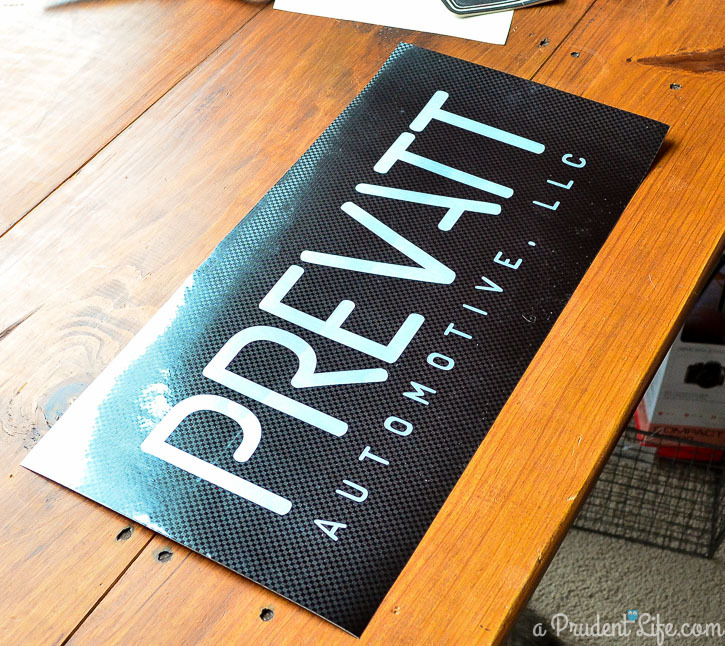 I cut the carbon fiber vinyl the same dimension as the frame so it could become the background of my sign. 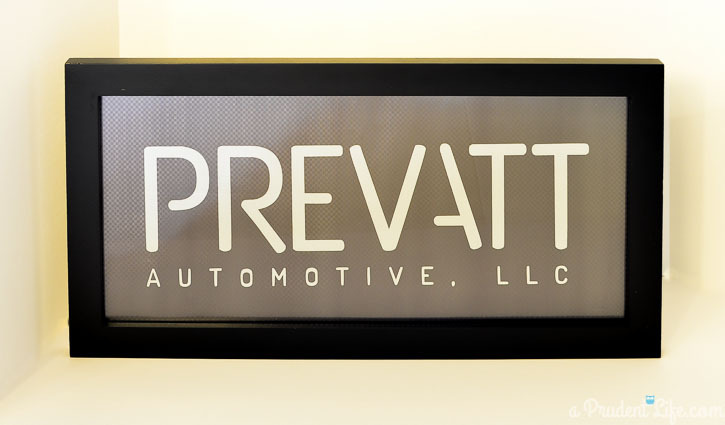 The brushed chrome vinyl was cut with my Silhouette after using the trace tool in the Silhouette software to make an image of my dad’s logo. I tend to be inpatient and just eyeball projects, so I recruited my husband to apply the logo to the carbon fiber background. 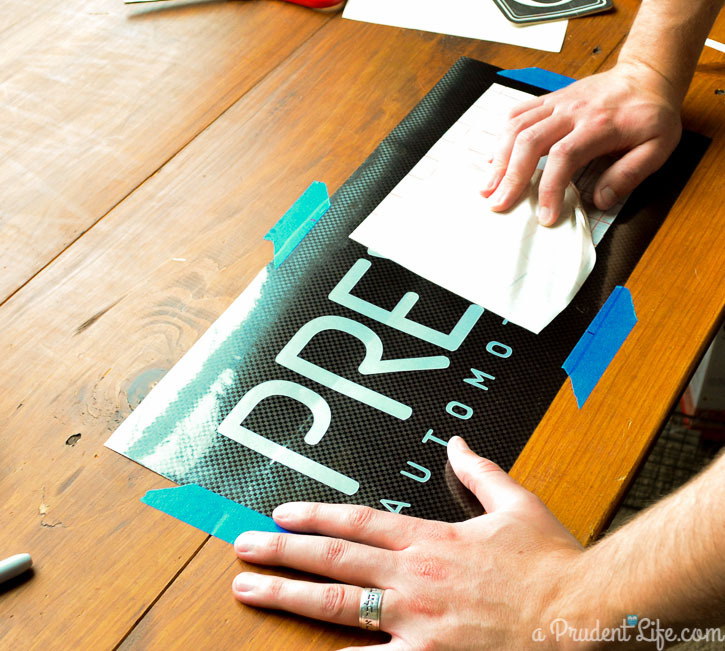 YEARS ago he worked at a trade show company and ran a huge vinyl cutter, so he’s got some serious skills at applying vinyl evenly. He starts off by taping the background piece to a flat surface. 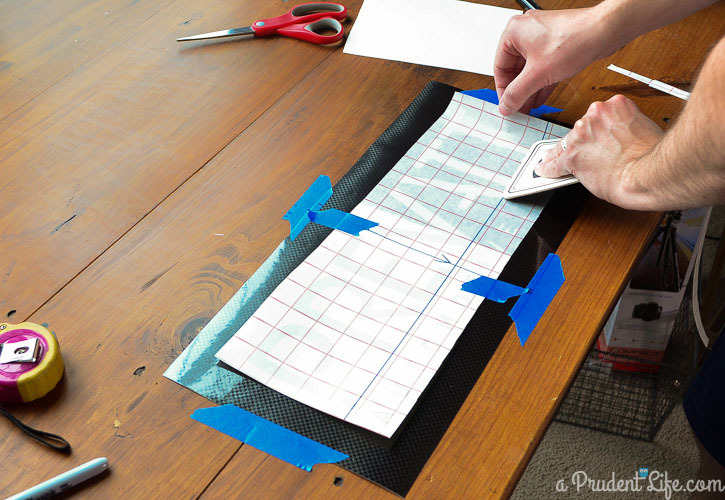 After putting transfer tape on the cut vinyl logo, he measured the logo and careful taped the center of it to the center of the background vinyl. Because the vinyl was taped in the center, he could cut the backing off one side and adhere it without anything moving around. Once the first side was applied, he removed the backing from the other side and applied it. Then it was time to peel away the transfer tape. 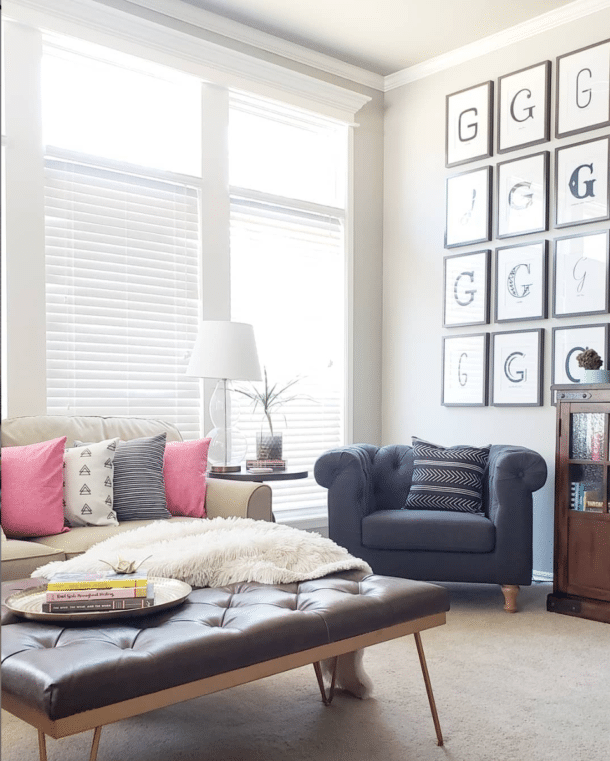 His process worked perfectly – everything was centered, straight, and ready to be framed! Here is the finished version! 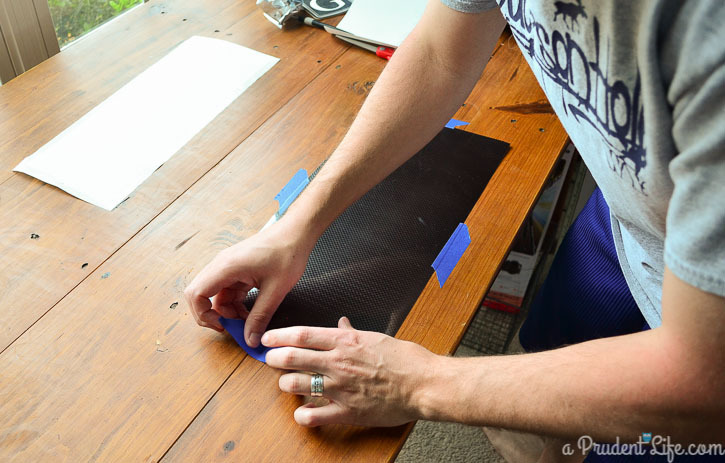 Have you ever used carbon fiber vinyl? I have some left and can’t wait to use it on another project! 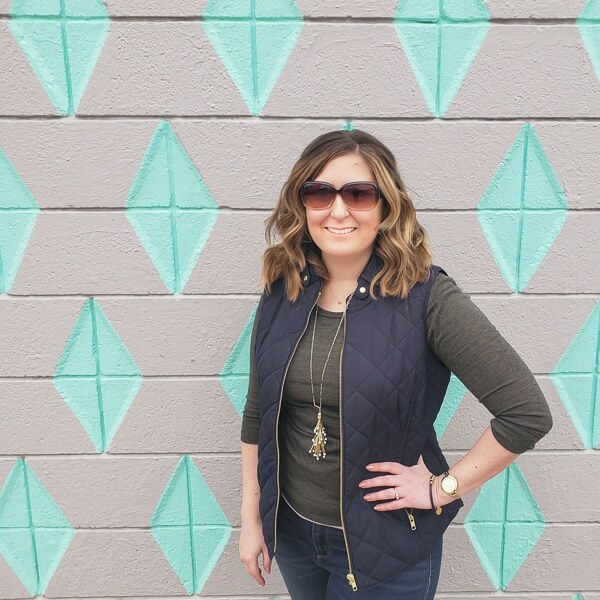 « June Goals & Happy Birthday-versary To Me!